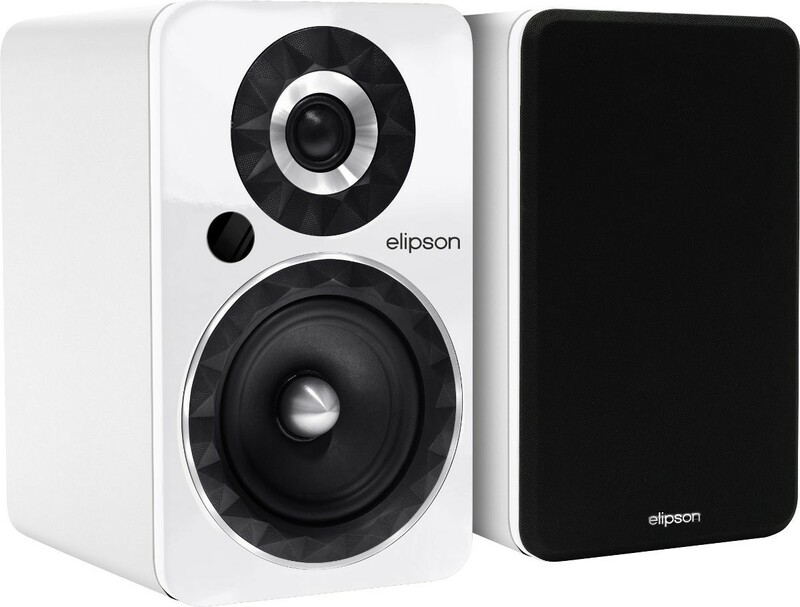 Smallest in the Facet range, this active speaker can easily be placed on any shelf or desk and is ideal for tighter spaces or used in a surround sound home cinema setup. - Mid-bass driver: 5 "
Elipson Prestige Facet PF6B BT Active Speakers introduce what Elipson calls 'Connected High-Fidelity' and is equipped with an integrated amplifier to let you stay connected. With an authentic stereo sound broadcast through top-quality speakers, streaming enthusiasts will rediscover well-loved tracks. Prestige Facet PF6B BT is equipped with a 14cm low midrange driver featuring a bullet-shaped phase plug to limit vibrations and consequently reduce distortion. A 25mm soft dome tweeter reproduces highs with finesse and precision. The multifaceted, sculpted silicone surround rings encircling each driver reduce the baffle effect and limit diffractions. The result is a more linear response curve and a smoother listening experience. The Prestige Facet 6B BT allow the Facet family to count itself among a new generation of connected speakers. 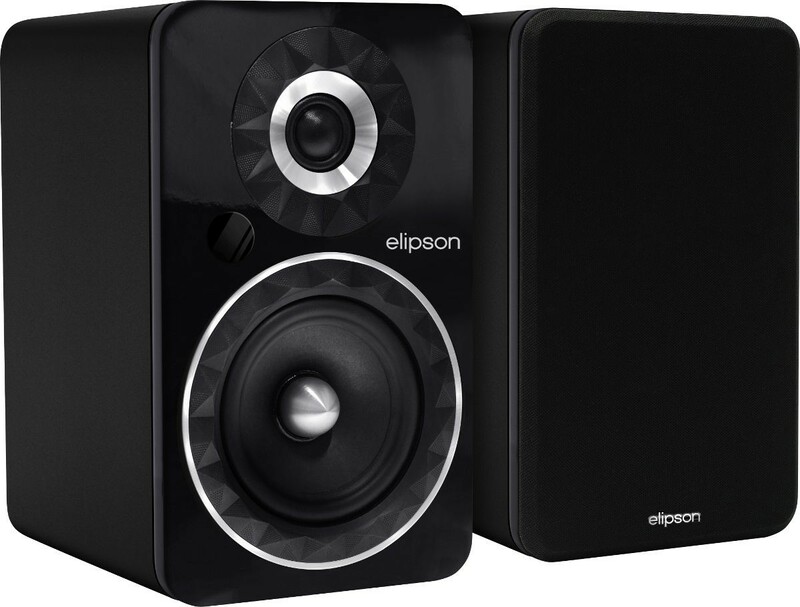 A hybrid high fidelity and connected speaker, this model offers the best of both worlds. From the hi-fi universe, it inherits its precise and extremely musical sound on top of Bluetooth compatibility. Benefiting from the same quality of manufacturing as the Prestige Facet 6B, the Prestige Facet 6B BT additionally features a Class-D amplifier and relies on energy efficient components for its power supply. Easy to install, they simply need to be plugged into the mains supply and paired with a smartphone, tablet or Bluetooth-enabled computer so you can rest assured that you'll have a simplified user experience on a daily basis. The aptX Bluetooth receiver handles high-res files while there is also several analogue inputs including a phono and digital optical input. The Prestige Facet 6B BT are highly versatile and can be connected to all your personal audio sources such as a turntable, CD player, TV, Blu-ray player etc. The high sensitivity allowing it to be paired with any amplifier with a power rating of 70W or less per channel. 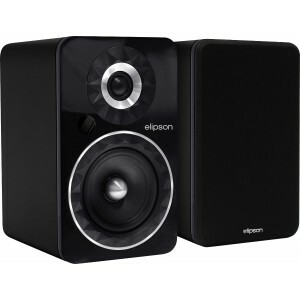 Its lively performance makes it an excellent surround sound speaker for a home cinema installation. 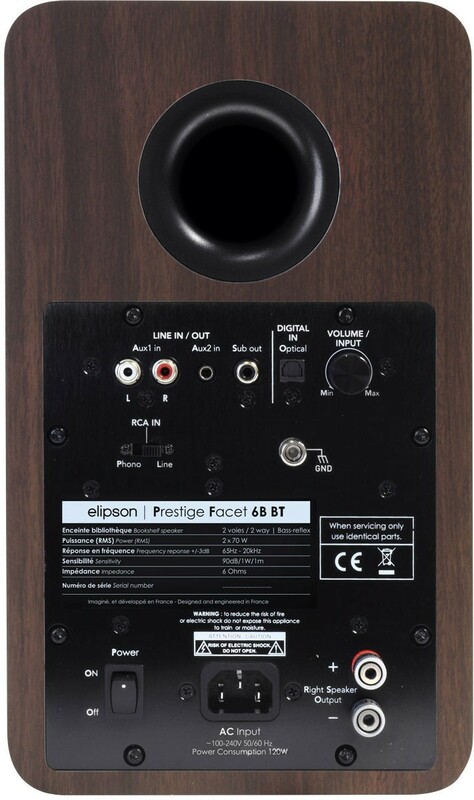 The Elipson Prestige Facet 6B BT, like its passive counterpart, introduces a host of innovative technologies. The most visible is undeniably the ring of sculpted facets surrounding each driver, which gives the range its name. A rigorous design process ensures optimal acoustic performance, while an elegant finish allows the speaker to blend in harmoniously with your interior decor.